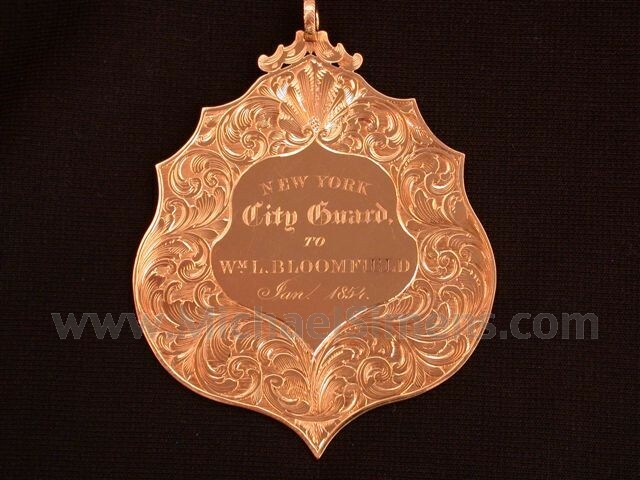 This spectacularly engraved medal is inscribed, "New York City Guard to William A. Bloomfield, Jan. 1854". 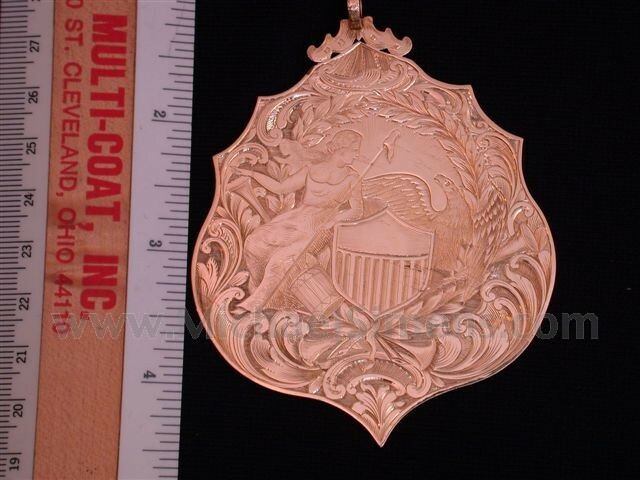 Nearly 3 & 1/2" in diameter, it is made of 18k Gold and weighs about 2 & 1/2 ounces. 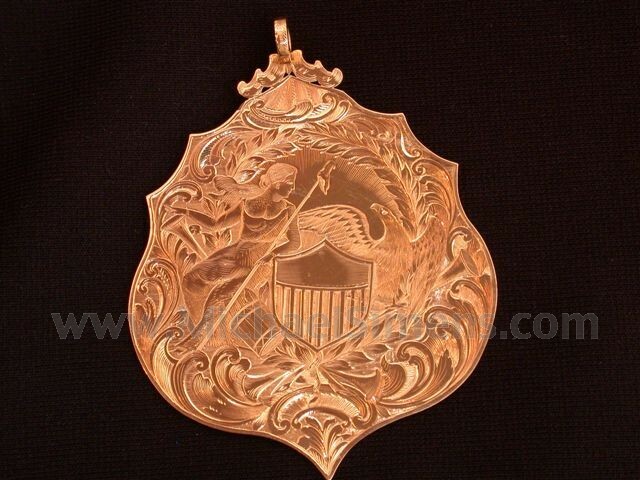 The engraving is simply exquisite and it is much more impressive in person than any photos can show. Bloomfield was the conductor of the Army Band stationed near New York City in the 1850's and won several awards for excellence during his tenure playing for Military, Social and Government elites throughout his career and was considered the John Phillip Souza of his time. If you have a spouse that complains about the amount of money that you spend on your hobby, this could be considered a silencer.